A challenge that many people have when searching for the perfect home is that there is no perfect home for everyone. Often a home needs to be tweaked to fit with the homebuyer’s unique vision. That is where Sally McGuire’s unique ability to visualize a space’s true potential comes into play. She enjoys the challenge of showing her clients how a space can be repurposed to accommodate their personal needs—making their dream of finding the perfect home an easily attainable reality. 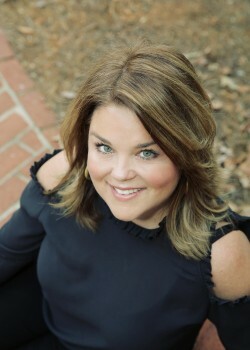 Sally began her real estate career in 1991, and was recognized as the top new agent during her first year. In 2004, Sally co-chaired the Mebane Challenge whose focus was to add preschools to each elementary school and Smart Boards in each classroom. Also near and dear to her is the Hospice fundraiser at Bermuda Run Country Club that benefits the Kate B Reynolds Hospice home. This fundraiser has raised $1 million for the cause and has celebrated its 18th year. Interests outside the office include traveling, golf, gardening and spending time with family. Sally is married to Austin McGuire and they have three children; Avee, a student at the University of South Carolina, Will, a high school student, and Ben, a soon to be middle schooler. Please contact Sally for your real estate needs!